Gary Glass the Director of the American Homebrewers Association joins me this week to discuss the National Homebrew Conference (Tickets Still Available). The Conference is an amazing opportunity to meet many of the top beer brewers from around the country as well as learn a tremendous amount about brewing. The conference is also a great time! Also thanks to our new sponsor BREWHA brewing equipment. Please check out their new innovative brewing setups that let you make better beer quickly. 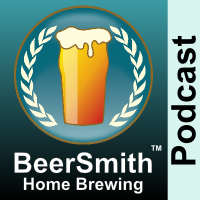 Also check out BeerSmith Mobile software and the new DVDs John Palmer and I filmed – How to Brew with Malt Extract and How to Brew All Grain are available now. We discuss the National Homebrewer’s Conference – which is an amazing event scheduled this year from June 11-13 at the Town and Country Resort in San Diego. For those in the home brewing industry, we share some fo the new industry events including industry seminars that are embedded in the conference. Friday night is my favorite part of the conference – Homebrewer’s Night! Thanks to Gary Glass for appearing on the show and also to you for listening!